BLOOMINGTON, Minn. – Dec. 5, 2018 – With the second month of the 2018-19 campaign completed, the men's Western Collegiate Hockey Association (WCHA) is proud to recognize four student-athletes as its WCHA Players of the Month. The honorees for November 2018 are: Michigan Technological University senior Jake Lucchini (Forward), Lake Superior State University junior Collin Saccoman (Defenseman), Northern Michigan University senior Atte Tolvanen (Goaltender) and LSSU freshman defenseman Jacob Nordqvist (Rookie). Lucchini helped vault Michigan Tech into the national rankings with a fantastic November, leading the WCHA with six goals (tied), seven assists (tied), 13 points, 1.44 points-per-game and two game-winning markers (tied). The Huskies' co-captain also assisted on two game-winning strikes, helping Tech to a 6-2-1 mark (including an undefeated 6-0-1 mark in league play). The senior from Trail, British Columbia tallied a point in six of nine November games, including three multi-point efforts – beginning with a two-goal (including the game-winner) and one-assist effort in Tech's 4-1, sweep-clinching win Nov. 3 at Alabama Huntsville. Lucchini then earned NCAA First Star and WCHA Forward of the Week honors following a five-point performance in the Huskies' Nov. 9-10 road sweep at Ferris State, which included two assists in the opener and a two-goal, one-assist outing (along with the game-winner) in the finale. He added a goal Nov. 17 at Clarkson, before finishing the month with four points (1g-3a) in a Nov. 23-24 sweep of Alaska (setting up both game-winning strikes). While it did not show up in his official November statistics, Lucchini also netted a goal in 3-on-3 overtime Nov. 30 vs. Bemidji State, giving Michigan Tech the extra league point. Nationally, Lucchini tied for seventh in points and ninth in goals, while he ranked second with a WCHA-best 41 shots on goal. He also added a plus-5 rating and was second in the WCHA with six power-play points (3g-3a). This is Lucchini's first career WCHA monthly award. Honorable Mention: Brandon Kruse, So., Bowling Green (tallied four points on a goal and three assists, while posting a plus-5 rating for the No. 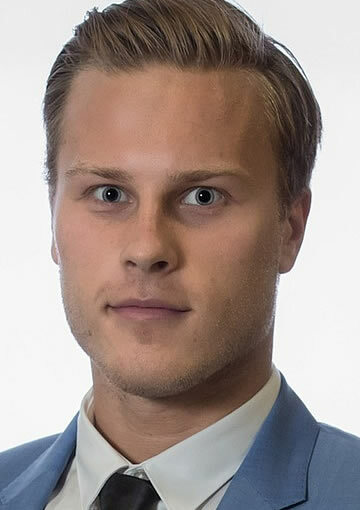 12/13 Falcons); Troy Loggins, Sr., Northern Michigan (tied for the WCHA lead with six goals, while also adding three assists for nine points in nine games for the Wildcats); Marc Michaelis, Jr., Minnesota State (tied for the WCHA lead with six goals and tied for second with 10 points, helping the No. 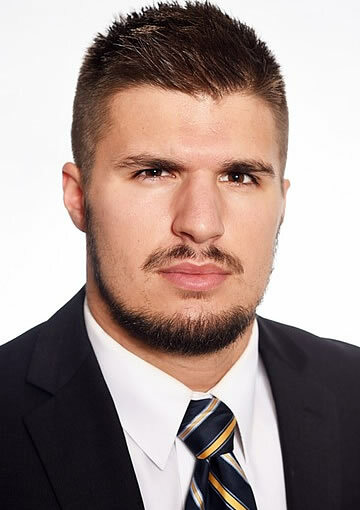 3/4 Mavericks to a 6-1-0 month); Anthony Nellis, Sr., Lake Superior State (tied for second in the WCHA with 10 points, contributing five goals and five assists as the Lakers enjoyed a stint in the national rankings). Saccoman emerged as one of the nation's top blue-line scoring threats in November, leading WCHA defenseman and tying for first in the country with five goals, while also pacing his NCAA peers with a .357 goals-per-shot percentage (14 shots on goal). He also added two assists and tied for second among WCHA defensemen with seven points, while contributing a team-best 15 blocked shots – good for sixth-most in the league. The junior from Stillwater, Minn. had a streak of four-consecutive games with a goal, a run that began Nov. 3 against then-No. 12 Michigan and culminated by lighting the lamp in a 5-0 victory at then-No. 10 Bowling Green on Nov. 17. That stretch was also part of a six-game point streak for Saccoman, which wrapped up with a goal in Lake Superior State's 4-2 victory against Northern Michigan on Nov. 23. His efforts helped the Lakers return to the USCHO.com national rankings for the first time in two years and cement their spot in the fight for WCHA Playoffs home ice. Saccoman was also a top special-teams performer, tying for the league defensemen lead with two power-play goals. This is Saccoman's first career WCHA monthly award. 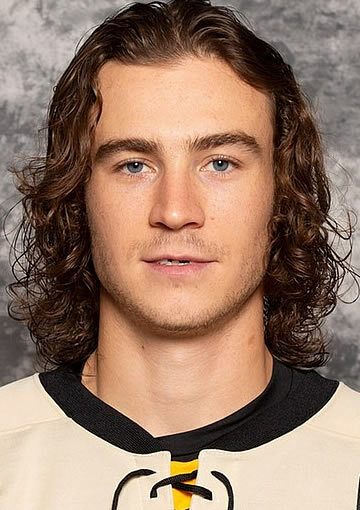 Honorable Mention: Philip Beaulieu, Jr., Northern Michigan (led WCHA defensemen by accumulating all six of his points on the power-play, with a man-advantage goal and five assists). Tolvanen was a stout workhorse in November, leading WCHA goaltenders in games and starts (nine), minutes (534:14), saves (227) and shutouts (two), while posting a .930 save percentage, a 1.91 goals-against average and a 4-5-0 record for a Northern Michigan team that scored just 1.78 goals per game. His shutout total tied for second nationally, while he ranked third in the league for both save percentage and GAA. The Vihti, Finland native was at his best against ranked opponents, especially on the road. Tolvanen turned in a 35-save shutout Nov. 3 at then-No. 9 Bowling Green, backstopping the Wildcats to a 2-0 win despite being outshot by 20. A night after making 34 stops at then-No. 20 Lake Superior State, Tolvanen made 25 more saves and held a shutout for 59:48 of a 2-1 triumph over the Lakers on Nov. 24. His final outing of the month was a 33-save effort Nov. 27 at now-No. 5 Notre Dame, helping NMU force overtime despite being outshot by a 35-19 margin. 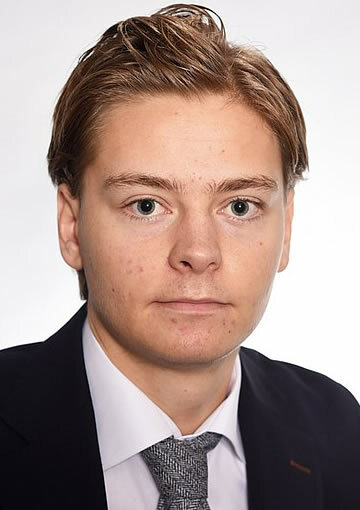 Tolvanen also turned aside 39-of-40 shots during a Nov. 16-17 series against Alaska Anchorage, leading the Wildcats to a sweep with 3-0 and 2-1 victories. Tolvanen is tied for the NCAA lead with three shutouts this season, while he ranks third with 389 saves. This is Tolvanen's first WCHA monthly award of the 2018-19 season and his third career honor. Honorable Mention: Mathias Israelsson, Sr., Minnesota State (won all five of his starts with a 1.77 goals-against average and .920 save percentage, making 104 stops and helping the No. 3/4 Mavericks to a 6-1-0 month); Nick Kossoff, Sr., Lake Superior State (had two wins over top-20 opponents, backstopping the Lakers past then-No. 12 Michigan and then-No. 10 Bowling Green, while finishing the month with a 1.98 goals-against average and .918 save percentage). Nordqvist, a rookie blueliner, led WCHA freshmen in November with six assists (tied), eight points, 0.89 points-per-game, one game-winning goal (tied) and a plus-6 rating. His efforts helped Lake Superior State earn wins over then-No. 12 Michigan and then-No. 10 Bowling Green as the Lakers themselves returned to the national rankings for the first time in two years. The Gothenberg, Sweden native opened the month with WCHA Rookie of the Week honors after an impressive performance against Michigan. He netted his first career goal, the game-winner, in the Lakers' 5-2 victory Nov. 2 over the Wolverines, added a pair of assists the next night and finished the series with a plus-4 rating. All told, Nordqvist tallied points in seven of nine games (including an assist in LSSU's 4-2 win over Northern Michigan on Nov. 23) to lead WCHA defensemen in November scoring. He also added five blocked shots. Among NCAA rookies last month, Nordqvist tied for sixth in assists and seventh in scoring. This is Nordqvist's first career WCHA monthly award. Honorable Mention: Julian Napravnik, F, Minnesota State (compiled six assists and a plus-4 rating, helping the No. 3/4 Mavericks to a 6-1-0 month).